Texas Patriots PAC - The Texas Patriots PAC extends our heartiest congratulations to new Board members Gordy Bunch - Position 1, Mike Bass – Position 2, and Jeff Long – Position 3 ! These election results send a clear message that residents support real change on The Woodlands Township Board of Directors. These gentlemen now have a clear mandate to take a fresh look at spending policies and procedures. 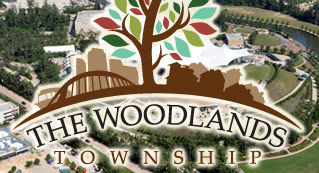 We are confident that they will demonstrate that fiscal responsibility can go hand in hand with preserving the Hometown environment that makes The Woodlands such a special place to live. Texas Patriots PAC is proud to have supported John Risher in his strong race for Position 4, and look forward to supporting him in future endeavors. We encourage all Texans to Vote Their Values in the Texas Primary on Tuesday, May 29th. Early voting begins on Monday, May 13th. Our recommendations for the Primary Elections are available on our website – www.texaspatriotspac.com.